How did you attached the three piramids if i can ask you???. Cesar, Thank you! I am posting pictures of how the pyramids are attached for you. I must complement you on your constructions. Love the glow constructions, especially the triangles and satellite dish. My kids love the Rapunzel's Tower. Very nice! 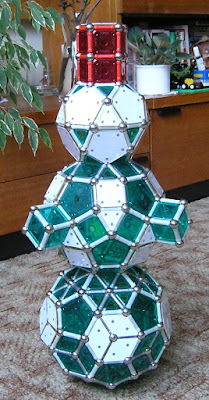 You can see more of our constructions, some original and some not, on our web site: http://www.geomagmasters.com.